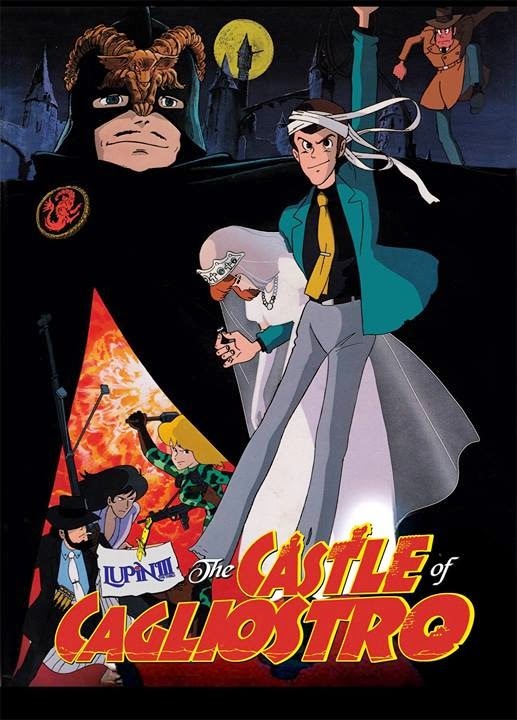 Discotek Media announced this evening that they have acquired the US rights to Lupin III: Castle of Cagliostro. The new DVD will be released (tentatively) this August, and the Blu-Ray will arrive in time for Christmas, or early 2015. The announcement comes courtesy of Reed Nelson and LupinTheThird.com, and Discotek's Facebook page. Previously, Cagliostro was released by Streamline Pictures and Manga Entertainment. Discotek is working hard to secure the American-dubbed soundtracks to both home versions, which will make all Lupin fans very happy. Bonus materiald will include a feature-length commentary by Reed Nelson, who was heavily involved in a number of Lupin DVD releases, including the Complete First TV Series DVD. Finally, Discotek has promised that Cagliostro's title sequence will be presented uncut in both Japanese and English language soundtracks. This is welcome news for Lupin fans still feeling burned about the 2006 Manga DVD. Have I mentioned lately that Discotek does a fantastic job for dedicated anime fans? Drop whatever you're doing, visit their store, and pick up a couple DVDs. P.S. This is the perfect opportunity to remind everyone of a 2004 audio commentary track by Lupin III fan Chris Meadows. This hails back from the early days of podcasts, when it was hoped that amateur DVD audio commentaries would emerge from all sides. The .MP3 file is still available, so be sure to grab a copy while you can. I wish you luck in getting accepted for Cagliostro extras. I'm writing an essay myself called "The Themes, Subtext, and Motifs of Lupin III: The Castle of Cagliostro." I've got the credentials since I write for two major professional websites, and I'm working extra hard on it. I'll be contacting Reed Nelson very soon. Understandably, he's very protective of the project so I hope that I'll be able to convince him.